When you trust Ladybug with your projects, you can be assured that our 17 years of experience and expertise means we'll not only be around for many more years to come, but that you'll receive the best possible outcome with your project... every time. Our dedicated team takes the time to get to know you and your business so we can offer you the best possible service and advice for not only where you are now but where you want to be too! We work with you, designing the tools for you to achieve your goals, and as a result, we form a long-lasting relationship with you - a process that has already started by you visiting our website! Our friendly and fun team of designers and developers can't wait to sink their teeth into another fun project, fingers crossed it's yours! At 19 years of age and partway through her degree in Multimedia, Bell decided to start her own company, Ladybug! Bell gets what it means to be a business owner - the passion, commitment, and determination involved. And Ladybug's still going strong, 17 years later - so you're not entrusting your web and branding needs to a 'fly-by-night'. Bell only works with fun and passionate business owners. 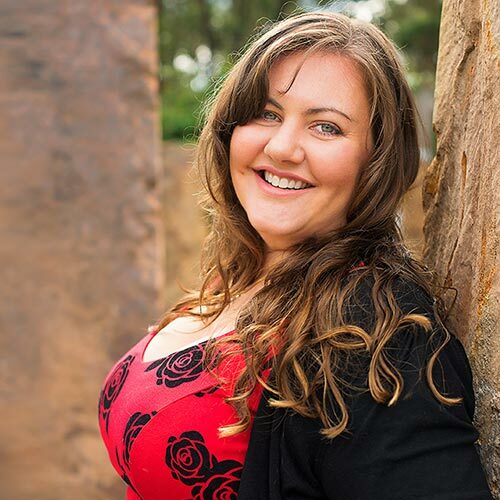 Her user focussed designs are unique and inspiring and are created with your target market in mind – she doesn't do blah! Her primary focus is to help you achieve your goals, working with you on strategies that will help you grow your business. you will always be what you've always been"
As well as sharing a home with Bell, Lee also shares her love of dogs, and not just our furry friends. He's passionate about the ones in red, white + blue too and is still celebrating their 2nd grand final win ever in 2016! When Lee's not working as an IT specialist at Aquinas College, he's providing expert web support for Ladybug. 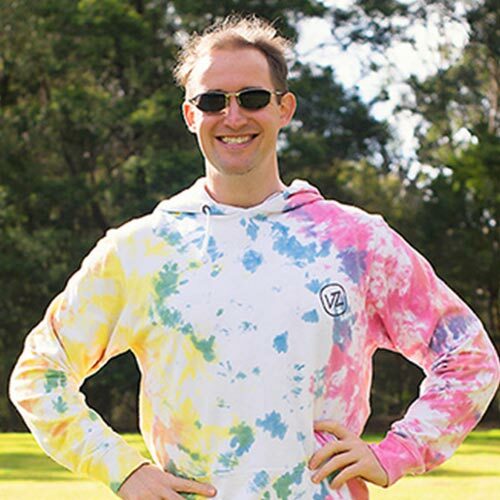 Not only is Lee part owner of Ladybug, but he is also the dedicated project manager for our I need a great website clients and also offers email and hosting support. Lee's experience in the IT industry plus his natural attention to detail ensures you end up with the perfect website solution for your needs. "Even in the future nothing works"
Our technical guru, Joel, has been with Ladybug since day one and specialises in solving complex business problems with user friendly, web-based applications. Joel lives and breathes web technologies and will ensure your solution is built right the first time for where you are now and where you want to be. 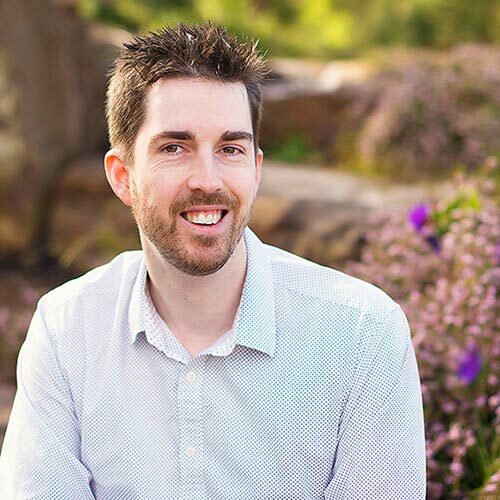 Joel combines his 17 years of proven industry experience, including key projects for Australia Post and Victoria Police, with innovative thinking, insight, forethought and a passion for the user's experience to take your business to new levels of automation and client engagement. 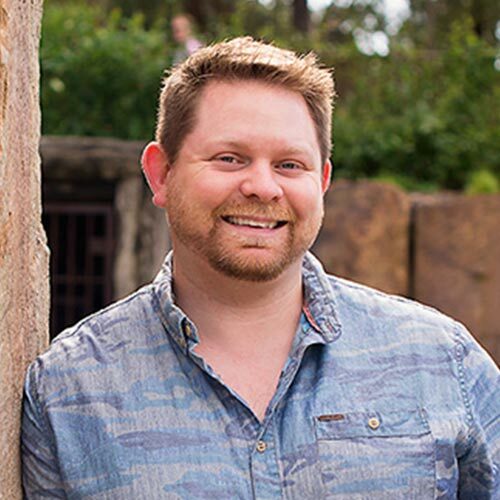 Working with the designers, Joel builds tailor-made, intricate web applications that will assist in the growth of your business, help you attract new clients and nurture existing ones, and save you time and money. Jack brings many years of diverse web and application development experience to Ladybug's unique web projects. Working behind-the-scenes with Liz and Joel, Jack brings to life Ladybug's customised website designs to create great online experiences! Jack builds the framework for each of our tailor-made websites, ensuring they function properly on all device types, across all web browsers which means your website will just work - no frustrated customers for your business! Liz is Ladybug's hot-shot front-end developer who works alongside Jack on Ladybug's web projects. 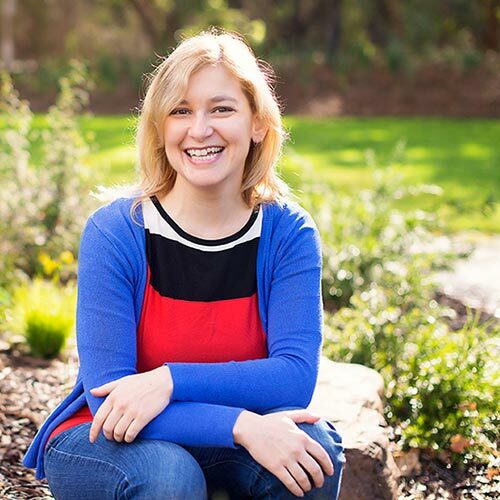 Making everything look and function great is Liz's specialty and she applies years of mastery of many web technologies, user interface and experience design in her work. Liz has the perfect balance between coder and designer. Understanding both means she can adapt designs to make everything function better and tweak the code so she can get the exact visual effect needed. Therefore creating the absolute best outcome possible from a visual and a functional perspective. Our fun loving studio pooch will greet you at the door and oversee our meeting, making himself available for you to pat him whenever you feel the need. 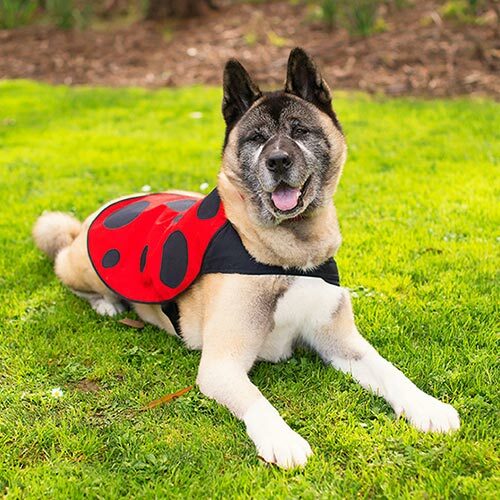 This cheeky Akita is well trained and well mannered, but if he's not for you, he won't be offended if you ask him to sit this one out and leave the meeting to the humans. He loves food and loves to play, and would do both at the same time if he could - but in his 11 years of trying, he still hasn't worked out how! "There's no such thing as failure, just feedback"